Hello and a very big warm welcome from everyone at your local G.J. Gardner Homes Fyshwick team. My name is David Norman and along with my wife Suzanne Norman, we are the proud owner operators of your local G.J. Gardner Homes Fyshwick office. We specialise in delivering quality custom built homes, with exceptional customer service and competitive fixed term contracts, making us the best builders in the area. As your local G.J. Gardner Homes Fyshwick builders, we offer an extensive range of modern contemporary house and land packages in new estates. We also offer a large selection of home floor plans that are available for customisation, meaning you can build a new home that is architecturally unique to tailor to you and your family. Do you already have a beautiful piece of land with a home on it and want to update it or completely knockdown and rebuild? Here at your local G.J. 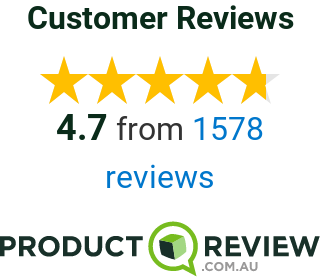 Gardner Homes Fyshwick we also specialise in any kind of knockdown rebuild job. We are passionate about taking on exciting new jobs that demand creativeness, extra knowledge and an ability to think outside the square, making us the most sought after home builders in Canberra. With over 30 years experience in the building industry, I have established an excellent reputation within the ACT market for building new designer homes. I love to help people plan, design and build, and as a result make their dream home become a reality. At G.J. Gardner Homes Fyshwick our mission is to strive and be the most, flexible, high quality and friendly Canberra builders by delivering custom homes, on time, on budget, every time. My wife Suzanne has a long history working in health care and has a warm sensitivity about her that resonates throughout our office here, down to our team and to all of our clients. Together with our team, we pride ourselves in developing honest, open and transparent relationships with all our clients. Excellent customer service is just another reason building with us, your local G.J. Gardner Homes Fyshwick builders makes us stand out from the crowd. We live locally here in the ACT and love the fact that it offers all the convenience of city amenities while maintaining that friendly country feel. We like to play an active role within our community by always hiring the best quality local tradesman and ensuring we always making great deals with local suppliers whenever possible which helps the community grow, and you get the best value deal for your materials. We also specialise in Knockdown Rebuilds and Mr Fluffy blocks throughout Canberra. For the best home builders in Canberra and surrounding areas please contact us at your local G.J. Gardner Homes Fyshwick office and speak to a new home consultant today! Our Canberra builders are the best in the business and cannot wait to help bring your dream home to reality.